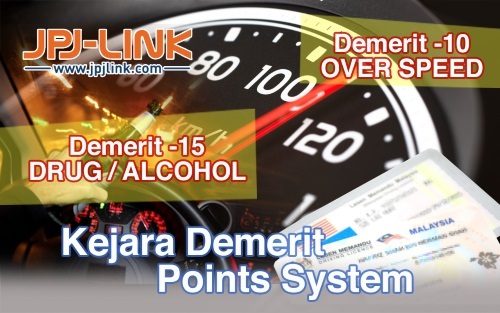 The Demerit Points System is a system whereby drivers who commit specific traffic offences are given demerit points under the Motor Vehicles (Demerit Points) Rules 1997. KEJARA had been implemented under Sections 35, 35A, 37 and 38, the 1987 Road Transportation Act and the Motor Vehicles (Demerit Points) Rules 1997. Revocation of driver’s license for a third offence committed within a duration of 5 years. Revocation of the ‘P’ License after accumulating 10 or more demerit points. When a driver’s CDL license is suspended, he/she will not be allowed to drive or attempt to acquire any kind of driver’s license, such as a learner’s permit, within the duration of the suspension. Whereas for the holder of a ‘P’ license who has the license suspended, he or she will not be allowed to drive or attempt to acquire any kind of driver’s license for a duration of twelve months beginning from the date the initial license is surrendered. Penalty: Operating a vehicle within a license suspension period will result in a RM1,000 fine or a six (6) month prison sentence. For CDL license holders who acquire less than 15 demerit points, who do not commit any of the listed offences for a period of 24 consecutive months, 7 demerit points will be deducted from them. 18. 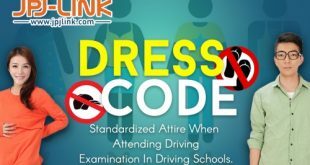 Failure to adhere to terms stated on “P” License (Rule 15A) Motor Vehicle Rules (driver’s license) 1992.